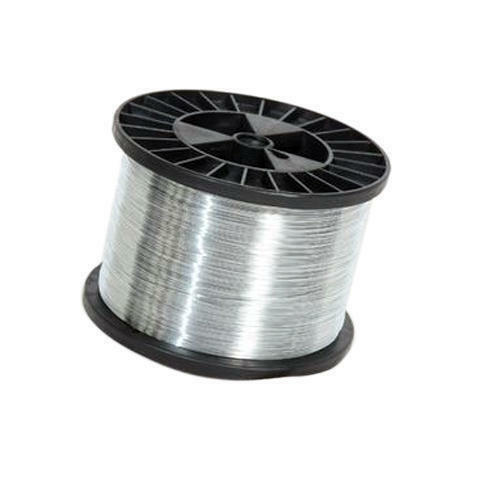 We are leading Manufacturer and Exporter of Electroplated Zinc Stitching Wire and our product is made up of good quality. We, National Wire Impex from 2009 are manufacturing and exporting a high-quality range of Spring Steel and Flat Stitching Wires. Offered products range consists of Stitching Wire, Galvanized Wire, and Staple Wire. All our products are designed using superior quality raw material and modern machinery that are obtained from the reliable vendors of the market. Conform to quality norms, all our products are widely acclaimed by the customers for their corrosion and abrasion resistance, dimensional accuracy, sturdy construction, lightweight and low maintenance. These products are used in various industries for staple pins, brush stapling, paper pins and clips and cardboard box manufacturer. Our work area is equipped with well-equipped infrastructure facilities that make sure that the entire process of production is carried on smoothly. Additionally, we ensure the strong construction of our spring steel and flat stitching wires before final delivery to the customers. In addition to this, we are well-equipped with all the facilities that help us in producing quality products in less time. For the achievement of set targets, our company has hired a team of hardworking professionals.